This is the label for the products we sell. Due to issues with production, the 2013 calendar has been delayed to the spring of 2014, however, it will be worth the wait! Regina Stahl-Briskey was commissioned to do all the art for the 2014-2015 calendar -- each month is an original art print suitable for framing. Plus the calendar will go from July 2014 to December 2015 -- a full 18 months! There will be a gestation chart as well, so goat folks can plan their breedings AND kiddings all on one calendar! Check back later this fall for ordering information. Click this link for a printable ORDER FORM . After you have printed the order form, click your browser's "Back" button to return to this page. Mail your order form with check or money order to the address at the bottom of the form. I can accept PayPal, but please e-mail me first. All orders are shipped via U.S. Postal Service, Priority Mail and I try to ship as soon as your order is received. If I am out of stock, I will hold your order until new stock arrives. If you need any part of your order by a specific date, please let me know. T-Shirts are $12 each plus $5 flat rate shipping. 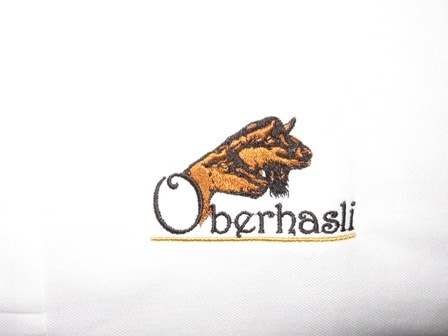 Promote the Oberhasli at goat shows with these high quality Port Authority brand, Polo style shirts. I designed the full color logo, and it is availalbe in men's short sleeve; women's short sleeve; and women's sleeveless. 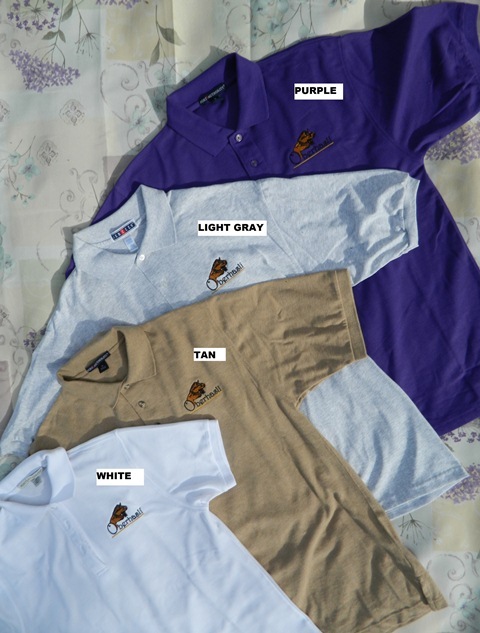 In addition to white, the shirt comes in a large selection of colors -- I have a few select colors in stock. Sizes in men's or women's are SMALL; MEDIUM; LARGE; and EXTRA LARGE; (note: the women's run slightly under the size). 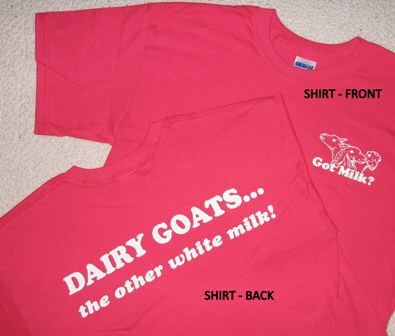 Your name, or herd name can be embroidered on the right chest for an additional $2. Shirt price is listed for each style, plus $5 flat rate shipping. 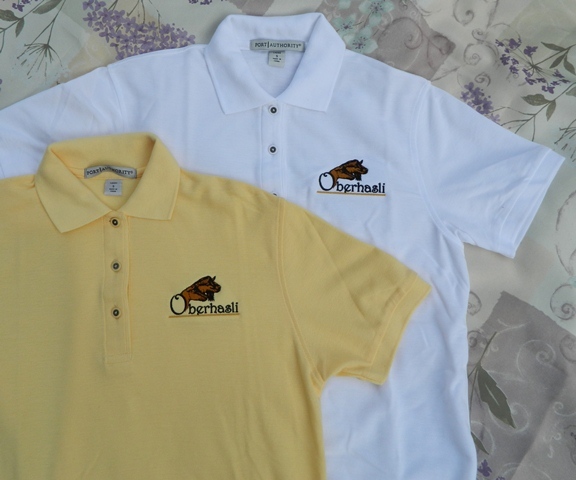 For extra embroidery work, please print name or herd name and add $2 to your order for each shirt. 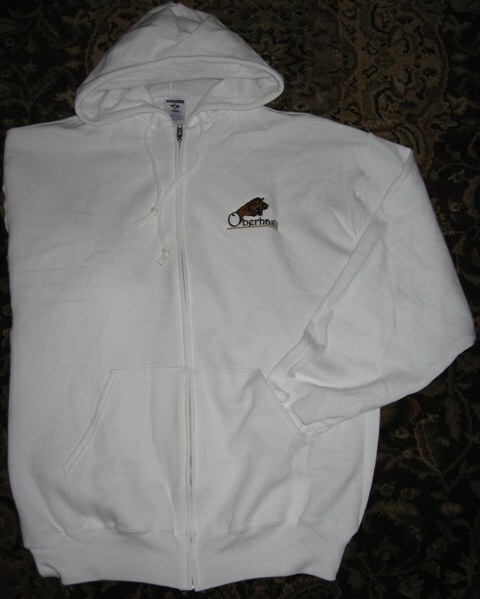 For those cold days trying to show your goats in a coat, or having to take off your jacket as you enter the ring... this white zip hooded sweat shirt is the perfect thing to wear in the show ring and stay warm. 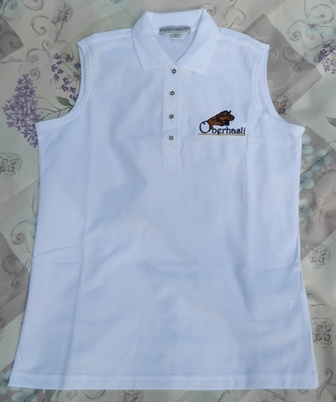 Sizes are SMALL; MEDIUM; LARGE; and EXTRA LARGE; (note: these are 'unisex' sizes). 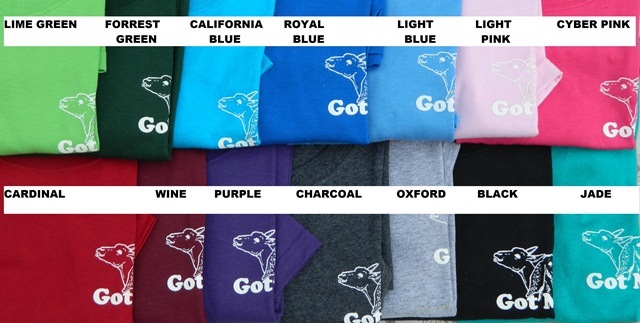 Your name, or herd name can be embroidered on the right chest for an additional $2. Goat Milk Soaps are next! This webpage is still under construction... please check back later.